NATIONAL Teachers Union deputy president Allen Thompson was shot at on Friday, apparently for exposing tender corruption in the KZN Education Department. He was on his way to Durban when a BMW tried to force him off the road. Its occupants shot at him and he was hit in the shoulder but managed to drive away. Union president Siphosethu Ngcobo said shooters pursued him and tried to finish him off at the hospital but he managed to hide. “We strongly believe this was not an ordinary robbery. “The hitmen wanted him dead, not the money he was carrying. That’s why they took laptops and documents and left his cellphone behind. “Some money was taken, but they took it so the hit would look like a robbery,” said Ngcobo. He said the union, and especially Thompson, has been publicly lobbying Basic Education Minister Angie Motsheka to put the department under administration. “It was Natu that first met Motshekga in Durban and asked her to investigate the R109 million tender to supply sanitary towels to schools. “We know we’re being targeted, but we won’t be intimated and stop our campaign to expose corruption in the department,” said Ngcobo. 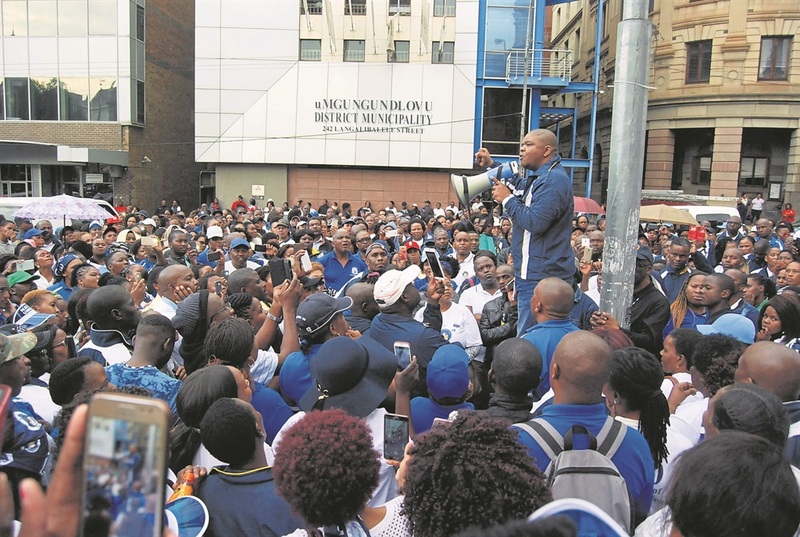 Education spokesman Sihle Mlotshwa said the union should let the law take its course. Captain Nqobile Gwala said cops are investigating attempted murder and armed robbery charges.